The only female member of NYMCIA President Hillary Peckam Resigns as President of the Cannabis Organization. Full legalization in New York State seems to have hit a road bump. What looked like a done deal when Governor Cuomo said he wanted to see some legislation this year, now looks as if it could be stalled. Supposedly a disagreement over diversity amongst the licensees has caused some politicians in Albany to push back. New York State Assembly member Crystal Peoples-Stokes has stated that her position is that adult-use marijuana will not be implemented in New York State if it is not inclusive of equity. The New York Medical Cannabis Industry Association (NYMCIA) seems to agree in principle, but the actions taken by the state and by the NYMCIA spell a different story altogether. Hillary Peckham, the only women-led licensed cannabis operator in the state recently resigned as President of the organization. 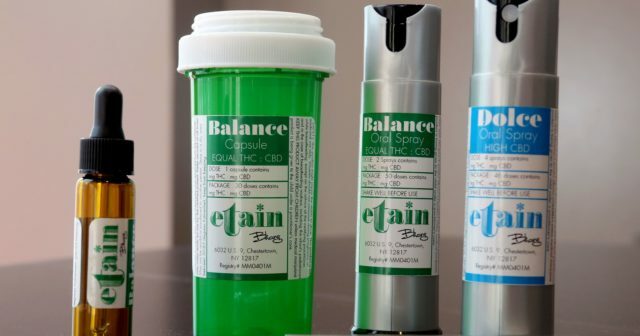 Her company Etain Health is on the endangered list of cannabis companies in the state and it seems the state has made no serious moves to make sure that the only woman-owned company survives. It makes public statements that it wants to make sure there is diversity, but the actions the state actually makes are just the opposite. Peoples-Stokes and New York State Senator Andrea Stewart-Cousins, both supporters of diversity in cannabis did not respond for a request to comment. Etain is one of the original five licensees in New York and remains a family-owned business. It is the only female-led company in the state. Most of the original five have been bought out by larger multi-state operators known as MSO’s. Many were forced into that situation because the laws in New York’s medical marijuana program were so restrictive that patients didn’t sign up. It’s not cheap to run a cannabis company, much less one that has few patients to service. The hope for the original five was that they would be well positioned to become recreational operators one day. Then the state decided that five licensees weren’t enough, even though those five were barely surviving and expanded the group to ten. Now the state is considering legalizing adult use cannabis and it looks as if it is considering a competitive bidding process -including an auction in order to get recreational licenses. The existing medical license holders will have to compete with others resulting in the pioneers receiving little advantage for blazing a trail as settlers come swooping in. While the number hasn’t been confirmed, Peckham said the auction fee is expected to be quite high. That is based on a comment from one of the New York politicians who said that the $10 million that California asked for was “too low.” Peckham said that amount would be almost impossible for Etain to raise and if she doesn’t get a recreational license, it is pretty much game over. The auction fees are intended to be used to pay for the department that will oversee the marijuana program and possibly provide incubator money and loans for minority and women-owned businesses. Peckham noted the hypocrisy of borrowing money from the department you’ve just funded through auction fees. Every day there are headlines about cannabis companies raising millions of dollars, so the general response to Etain’s complaint about the potentially high cost of entering the auction is met with the response to ‘just to raise some money.’ Peckham explains the problems with that simplistic response. “If I take money from an investor they will want ownership of the company and then it will cease to be a woman-owned company. Something that is very important to me and at the core of our mission at Etain,” she said. Plus, it’s well known that women-owned companies have a harder time raising money than male-led companies. That is why women-owned funds have sprung up to help their peers, but Peckham noted that these funds wouldn’t be able to deliver the amount of money she needs. The NYMCIA suggested that the group pony up for a fund to help women-owned and minority cannabis businesses in incubator money. On the surface, this sounds like a great idea. Unfortunately, the irony of the only woman-led company (there are no minority-owned cannabis companies in New York) putting money in a fund that she would then be asking to receive money from seemed to be lost on the remainder of the group. She was derided as “cheap” by one of the male members of the group. The proposed pledge was $2.5 million. Adam Goers, Vice President of Corporate Affairs at Columbia Care, a multi-state operator that is expected to become a publicly traded company this year, is chairman of the NYMCIA. The group did not respond to a request for comment on Peckhams resignation. NYMCIA recently stated that it asked fellow MSO MedMen Enterprises Inc. (MMNFF) to resign from the Association following a lawsuit filed by the company’s former CFO James Parker, in which Parker alleged CEO Adam Bierman had made derogatory comments. “The Association has a zero-tolerance discrimination policy for any of our members who engage in this type of despicable behavior,” NYMCIA representatives said in a letter addressed to Gov. Cuomo, state Senate majority leader Andrea Stewart-Cousins and Assembly speaker Carl Heastie. MedMen confirmed that it had not resigned from the group and was still a member. Of course, seeing Etain go under just means one less competitor for the group. Saving a female-led company is not only good for diversity, but it turns out it will be important to the entire New York cannabis company. Etain provides several companies with a quality product. Without her, they lose a provider. This is very important because several people have told Green Market Report that some New York cannabis companies have been bringing in product from out of state illegally. A claim that hasn’t been verified, but a review of a company’s cultivation square footage versus sales will answer that question, especially if the company isn’t buying the product from another New Yorker. The nuclear option to just sell the company which also isn’t possible for Peckham. Once again the state in its vision for diversity stated that women-owned and minority businesses can only sell to another like-minded company. Since there are no other women-owned or minority-owned cannabis companies in New York, there is no one to sell to. The State could insist on a residency requirement for the recreational licenses, which would help Etain. Or it could carve out recreational licenses for existing medical license holders that are not publicly traded companies. There seem to be options available for the state to protect the diversity it claims to want, so far it hasn’t pursued anything other than talk. I don’t give a f*** about diversity in ny medical marijuana dispensary ownership. All I know is that ALL the ny dispensaries are charging as much as 700% more $ than dispensaries in other states. A 500mg cartridge of thc oil in AZ and CA goes for $20-$25. The same item at etain goes for $165. They are a rip off and I urge all NY medical marijuana patients to get their medicine on the black market or get it from VT or MA and save themselves some money.